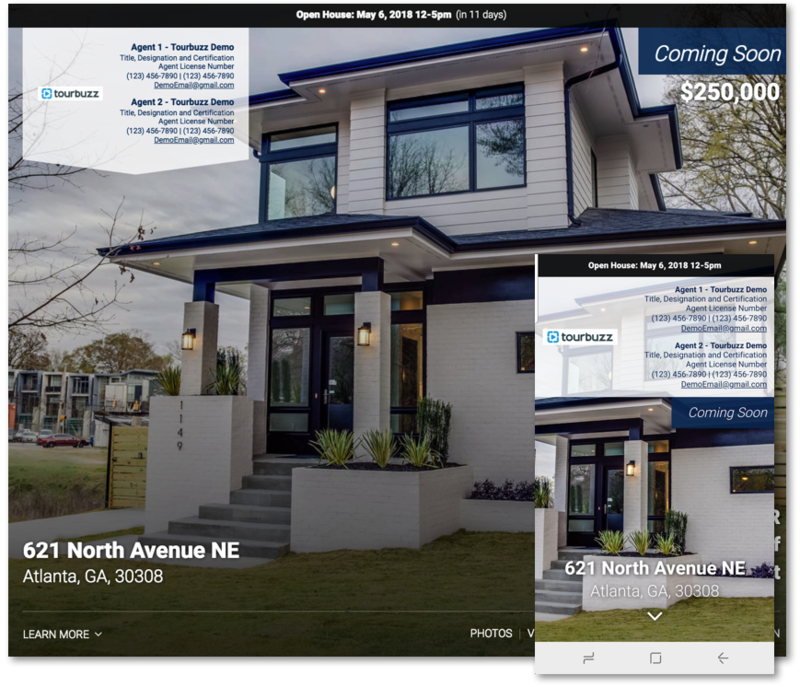 Lattice is one of our single-page property web experience that allows you to market a property with a website look and feel. Lattice provides a modern, sleek, single property marketing website experience, with agent branding right at the top. This can be anything you’d like. For example, if you needed to create a new Lattice option to reflect the colors of Keller William, you can set the nickname to “Lattice [Keller Williams]” to make it easily stand out. 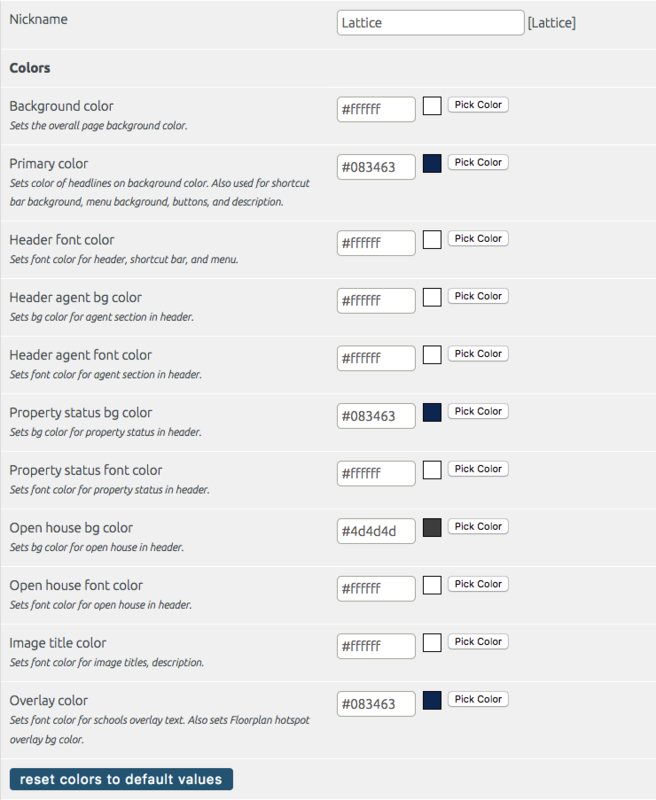 This setting defines what font is used within the menu, hero images, and titles of each section. 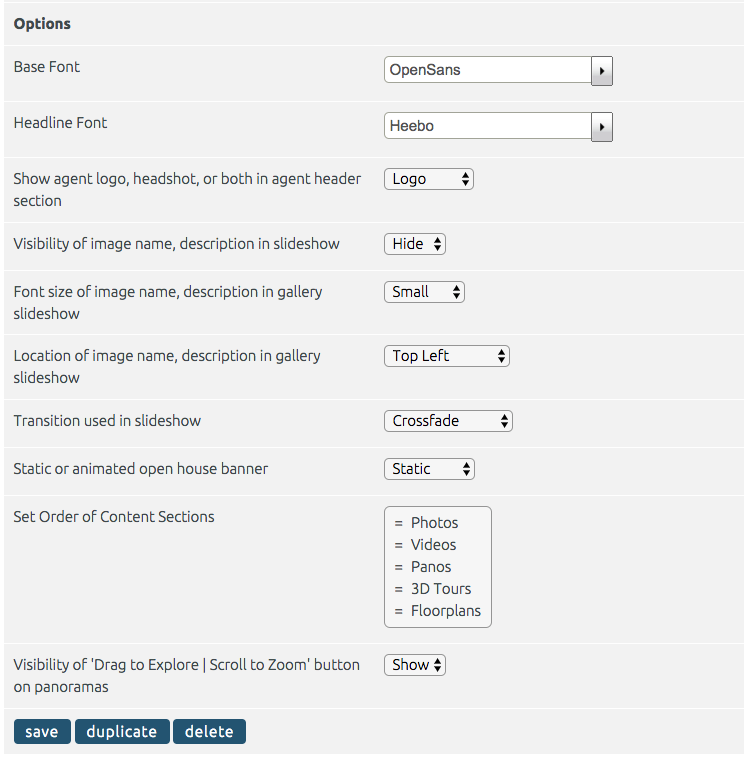 This setting lets you define whether the agent headshot and/or logo appear in the header of the page.